This tells so much I love it but grammar girl is so much better so check it out . I was watching this with my children and they did not like it it was scary and awful.you ruined what they think about the ocean now there afraid to go on the beach or in the water.i also don't like it it is nasty and it definitely was vary cruel to ruin some of are beliefs about the sea you wanted to make us learn but you gust made some of us terrified and awful about the creatures that live in the sea. That is the reason I gave it 1 and only 1 cause it was a learning experience but that is not enough like how do you think it will make us feel about this video because me and my children hate it. Thank you for everything you do! I am so pleased to have all of this excellent info and great video right in the palm of my hands! God bless your team! We love you all! Perhaps I'm not as versed as others, but so far it's just "ehh". VERY COOL PODCAST APP! Love It! Episode 9 Fluorescents looks dreamy on the iPhone 5. It's rare when I come across content that is a kindred spirit with my soul. I could not stop watching! Mind and eye candy for those who love and care so much for our beautiful planet beneath the surface. Incredible on my HDTV with the newest version of Apple TV. Excellent job....Change begins with awareness!! Thank you so much! 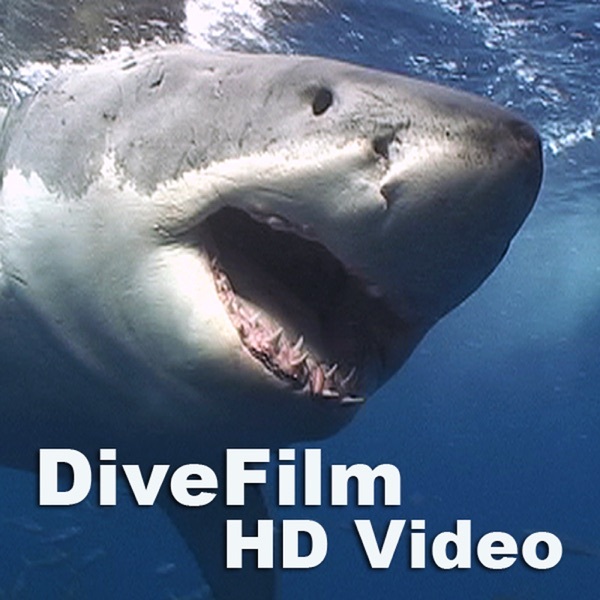 Always the highest quality Dive Videos in HD. Love seeing every episode. You have done a humanity service by presenting thrilling motion pictures of our oceans. I have enjoyed these videos in an extraordinary way. These videos really calm me greatly when I watch these on the way home from work. They destress me, give me a sense of awe about ocean life, and present me there is great beauty about our oceans that we have yet to learn so much and explore. Great job! Beautifully done. Just got the Verizon iphone and these shots look amazing in HD. Marine life springs out at you in unbelievable color and beauty. Props to the whole team, very well done. It's good to relax to also! I just happened to stumble across this but wow. Puts a whole new dimension on my iphone 4. The quality of these videos is AMAZING! What fascinating animals you were able to view so close up and share with us! Definitely five stars!! Anytime I try to watch this it says the movie format is not accepted. What am I missing ? HD podcasts are really best watched on your PC--besides a humpback whale certainly loses something on a teeny tiny screen. 'Realm of the Sharks' is stunning footage of hammerheads. Humpbacks off Baja coast has natural sounds and discussions of the diving. Here to get more. This is so much easier than diving and a LOT cheaper! Luv it--keep up the good work. Great stuff!! However i cant download to my ipod/iphone?? Any suggestions? Why doesn't it download on my ipod? Overall this looks to be a great podcast as it really seeks to bring the viewer into a world unbeknownst to many. The underwater environment comes to life as video of sea life come to take center stage and lead us on a journey of their lives. And as cliche as it may sound, I personally feel a sliver of the true majesty of the ocean can be seen. Great images, I'd rather hear no audio or the raw audio than the music presented. Also, the large copyright watermark detracts from the presentation. I'd like to see it much smaller and in the corner or removed altogether. Somebody was brave enough to make a video podcast not about gay ducks, margaritas, hurting animals, or other crude things. This is great!! I have been in video for 30 years and this is some of the most amazing images I have seen. Aesthetically pleasing and technically flawless. The first time I saw 1080 24 P I thought of diving immediatley. Might I suggest the Grand Canyon for you next project? I absolutely love these podcasts. Amazing footage. I can't wait for more! I really enjoyed the standard definition ones, but these are just amazing to watch! Great HD images. If you love nature and high definition this is for you. This is a wonderful video podcast. I also like the non-HD version, but REALLY appreciate all the efforts the HD team went through to open our eyes to the beauty of the oceans through theze AMAZING videos. THANK YOU to the entire team. Please continue your efforts, as they are most appreciated!